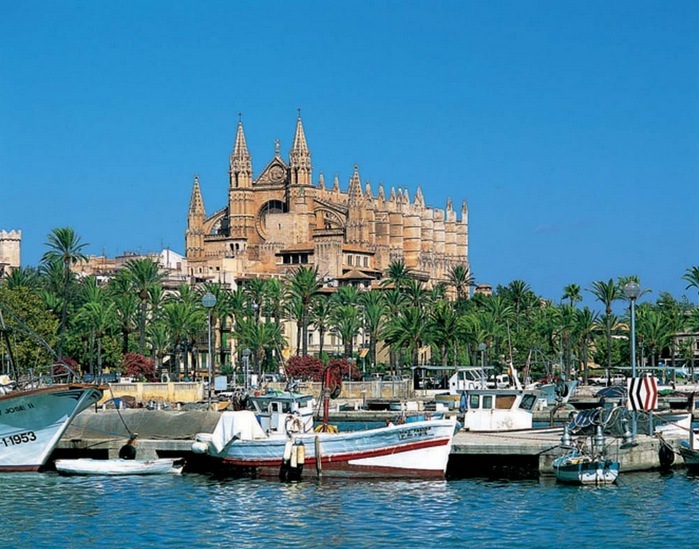 Majorca is the proud ‘Pearl of the Mediterranean’, a well established holiday destination which lures visitors with its all year round sun, sand and sea. Aside from its coastal appeal it has a bucket full of other charms that tourists can hardly resist year after year; from its cosmopolitan capital to its spellbinding interior there is always a spot to explore or bask in the sun. It could claim to be the perfect holiday destination that has it all; the deep turquoise waters of the Mediterranean, expansive dramatic coastline, a vibrant sophisticated capital and a fashionable nightlife worth experiencing. Along its coastline from Palma there are excellent resorts that cater for all kinds of visitors; Portals Nous with its modern complex and the size of yachts is bound to impress, Port d’ Andratx is a boaters paradise and Bunyarbufar is home to the islands finest terraced orchards. A little deeper inland you will be intrigued by the stunning secluded sandy bays, traditional tapas, quaint mountain villages and enchanting thriving olive groves. With all it’s captivating sides, it has something for everyone; it is a beach paradise to some and a perfect mountain hideaway to others. Whichever part you choose you are sure to find a fine holiday rental in Majorca that caters for your specific needs. Villa holidays in Majorca are especially popular as they offer modern facilities, freedom and privacy. If you want a rural retreat, try Campanet and Costitx, but for the ideal luxury villa holiday in Majorca, Alcudia and Cala d’ Or resorts and fabulous.